Anna Huckabee Tull is on a mission to walk every street in Concord, the home of Henry David Thoreau. 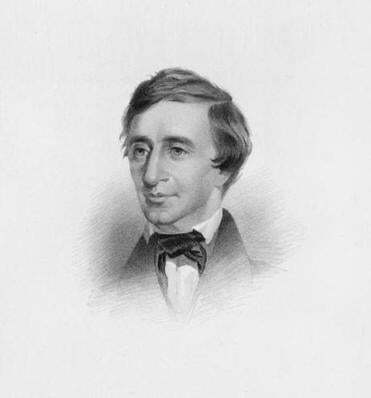 As a college student, Anna Huckabee Tull pored over the works of the Transcendentalists, feeling a growing kinship with Henry David Thoreau, the philosopher known for his love of long walks in the woods and fields of Concord. But little did the Ohio native imagine that thirty years later she would be following in his footsteps literally as well as figuratively. 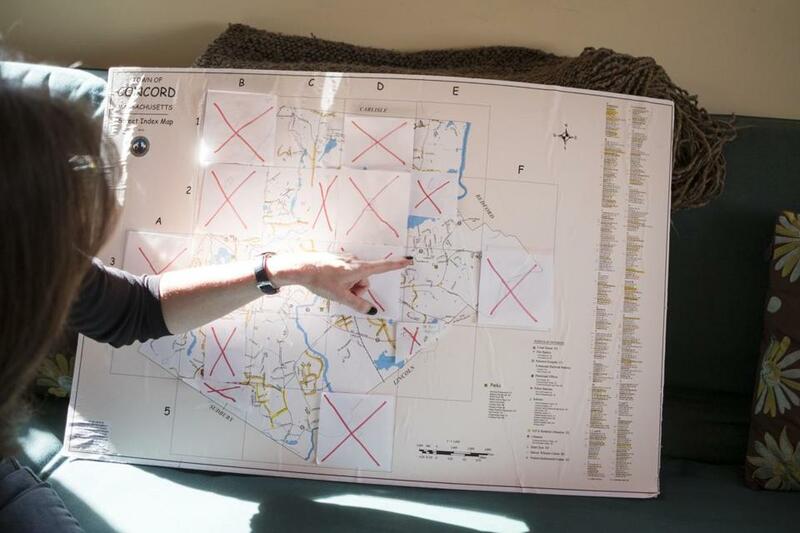 Now a 52-year-old life coach and songwriter living in Concord, Tull has set out on a mission to walk every step of Concord’s streets, lanes, and cul-de-sacs – just in time for the bicentennial of Thoreau’s birth. An official with the Department of Public Works told Tull that there are 134 miles of public roadways and 27 miles of private drives in Concord. Since starting the mission last July, she has so far has covered about half of those miles, marking off each walk on a map that her husband purchased for her and mounted on foam core. Tull has lived in Concord for the past eight years, but the walking adventure has made her see it anew. “It’s like my town is becoming three-dimensional right before my eyes,” she said. “Streets I drive down all the time look completely different to me when I’m walking. I see magnificent landscaping. I see every outdoor holiday decoration. I’ve seen foxes, snakes, all kinds of birds, deer, wild turkeys, geese, chipmunks, heron. And lots of roadkill.” Once she saw a fight between two horses. A believer in the need to get away from screens and electronics, Tull walks in silence if she is alone – no playlists or audiobooks for her – but she also enjoys the companionship of a friend or neighbor. “If the day’s route is to a neighborhood where I know someone, I might ask them if they want to walk with me,” she said. Her favorite walking companion is her husband Jim, despite the fact that he breaks the no-screens rule because he likes to look up the houses they pass on the real estate app Zillow. The couple has made a game out of guessing different houses’ year of construction. And though Concord undeniably has its share of magnificent architecture and opulent homes, Tull admits her favorite discovery is the little cottages built a century ago as summer homes along White Pond. Tull’s first walk was in July; she hopes to complete the mission within a year of when she started. Walks can be any length; sometimes she’ll walk for an hour, but other times she’ll just hop out of her car to cover a cul-de-sac or two. She puts a sign on her car explaining what she’s doing so as not to alarm residents in quieter neighborhoods where a parked unoccupied car might stand out. The only Concord roadway she plans to avoid is Route 2, the town’s main highway. Though her choice of an inaugural walk was arbitrary, based simply on where she happened to be that day, Tull has grown more reflective in how she plans her routes. “I was saving the road to Walden Pond for a really special day,” she recalled. “One morning I woke up to see that a beautiful snowfall had taken place overnight. I went early in the morning and was the only person out; everything was glistening.” She chose two streets to save for last as well, more for semantic reasons than sentimental ones: Whit’s End Road will be the penultimate route, and Love Lane the very last, simply because of their names. Anna Huckabee Tull of Concord is on a mission to walk every street in her town. Nancy Shohet West can be reached at nancyswest@gmail.com .